Allegedly available in either direction, with left to right being easier. On this occasion, pull off the ground on the only decent hold. Make a couple of half-hearted slaps to the left. Jump down, avoiding the peaty pool. 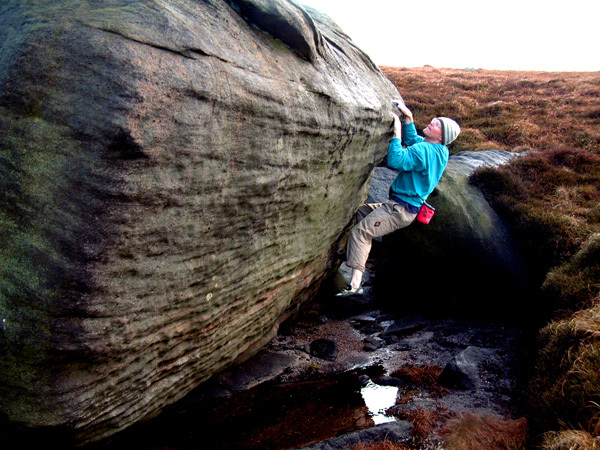 Even more half-heartedly, inspect the microscopic dimples that are the continuation of the traverse. Come back on a very cold dry day with perfect skin.